Avalution has helped build and run hundreds of high-performing business continuity programs. And, for the first time, the firm is sharing how they do it and how organizations can apply this proven process to achieve the right level of resilience. Avalution is proud to introduce The Business Continuity Operating System™ (BCOS). The Business Continuity Operating System™ provides a whole new way to build connections, drive analytics, and operate an evolving cycle of improvement that delivers real results. 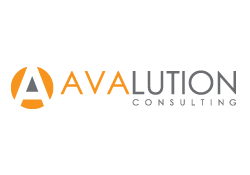 Avalution Consulting – the leading provider of business continuity and IT disaster recovery consulting services and software solutions – announced today the official release The Business Continuity Operating System™ (BCOS). Avalution has helped build and run hundreds of high-performing business continuity programs. And, for the first time, the firm is sharing how they do it and how organizations can apply their proven process to achieve the right level of resilience. “For over 20 years, the business continuity profession has focused on tweaking ‘methodology’ as the sole lever for running a dynamic, sustainable business continuity program. Unfortunately, staying laser-focused on methodology only leads to incremental program improvements that never address the main issue holding many programs back – a lack of engagement from senior executives and the business,” stated Brian Zawada, Avalution’s Managing Director and Chief Visionary Officer. “So, whether you’re an executive who has been assigned responsibility for business continuity and don’t know where to start, or an experienced practitioner who is frustrated that your program isn’t generating the energy and engagement is once did, BCOS provides a whole new way to build connections, drive analytics, and operate an evolving cycle of improvement that delivers real results,” added Rob Giffin, Avalution’s Managing Director and President. Frame: A proven method for getting all stakeholders on the same page from the start regarding what business continuity is and what it’s trying to achieve for the organization. Build: A proven business continuity planning methodology that delivers actionable mitigation, response, and recovery capabilities that protect an organization’s ability to deliver its most important products and services. Evolve: A Connections Cadence™ for sustaining focus and driving program engagement by getting the right people, in the right meetings, reviewing the right metrics, and solving the right issues. To learn more about The Business Continuity Operating System™, please visit our website. Avalution Consulting is the creator of the Business Continuity Operating System™ (BCOS) and Catalyst Business Continuity Software. The Business Continuity Operating System™ leverages Avalution’s proven process for building, implementing, and improving business continuity programs that drive focus and alignment to an organization’s business strategy, deliver actionable outcomes, and provide a method for ensuring long-term program engagement. The Business Continuity Operating System™ enables business continuity success and an ability to achieve the right level of resilience.